I’ve spent a lot of time with Yorkshire folk, so to me a “growler” is a meat pie. 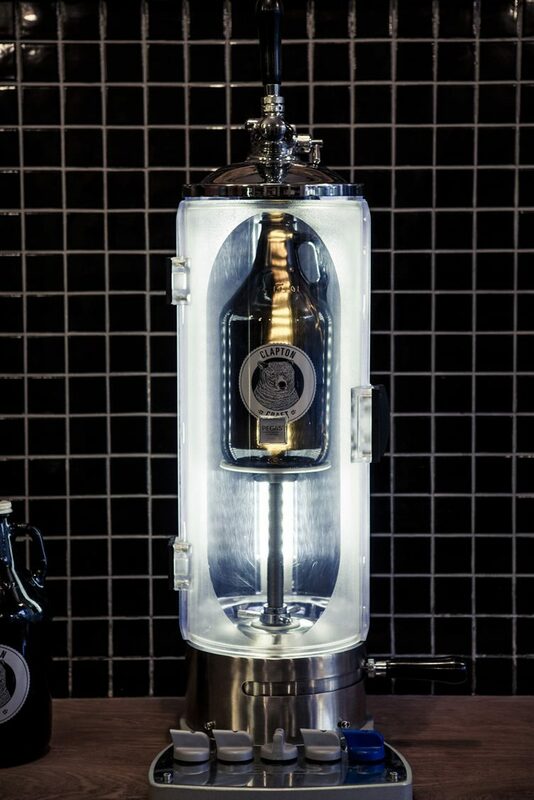 Imagine my curiosity when Tom McKim and William Jack from Clapton Craft told us they were selling refillable growlers. This we had to see. 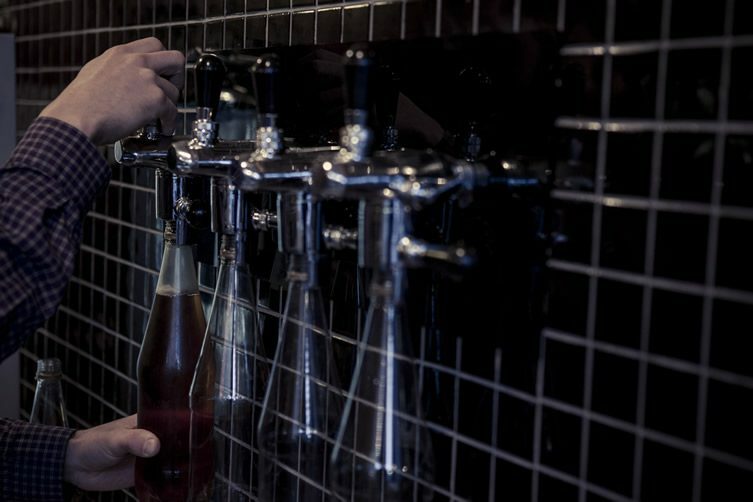 As it turns out, a growler is – as everyone but me seems to know – a beer bottle. Which makes much more sense. Refillable pies are a terrible business idea. 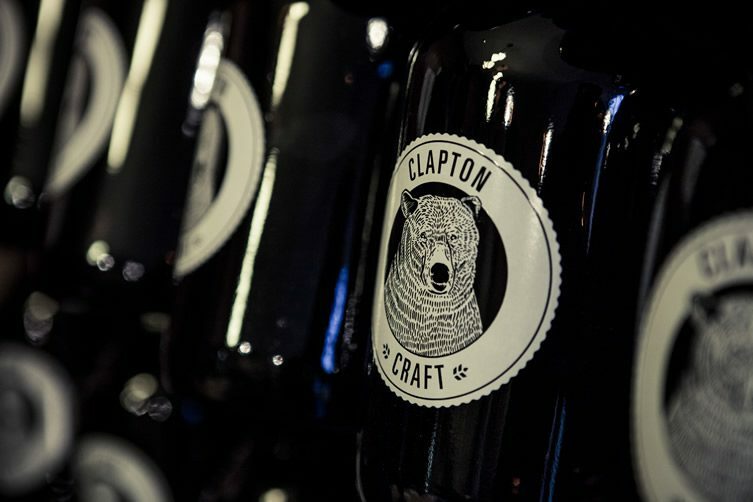 Clapton Craft in Hackney, London, is offering hefty 64oz growlers (a little over 3 pints in Imperial and 1.8184 litres for metric-minded whippersnappers and Europeans) which employ the same filling system as microbreweries use on their bottles. 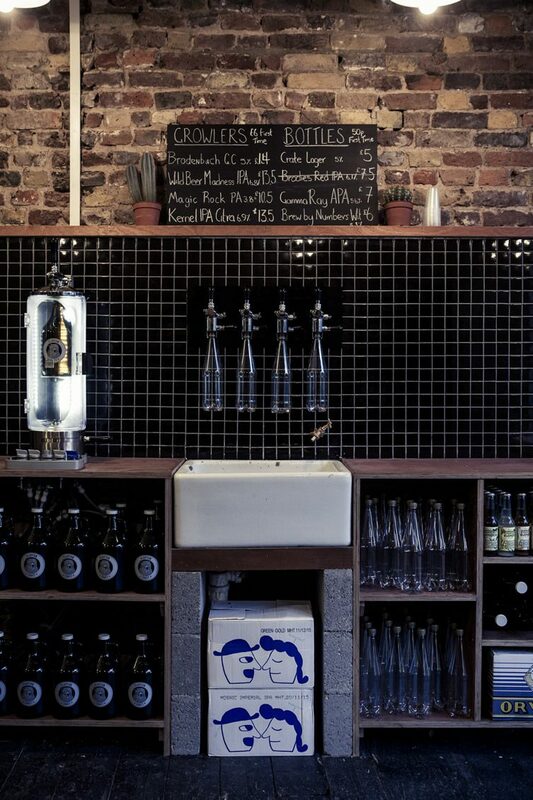 First the glass growler – complete with some very lovely graphic design – is flooded with carbon dioxide to push out all the oxygen, then the beer flows from the keg, something something pressure… the abridged upshot is the beer doesn’t foam up and keeps its freshness and fizz for up to six weeks. That’s about 5.9 weeks longer than beer stays put in our house, but we appreciate the option. 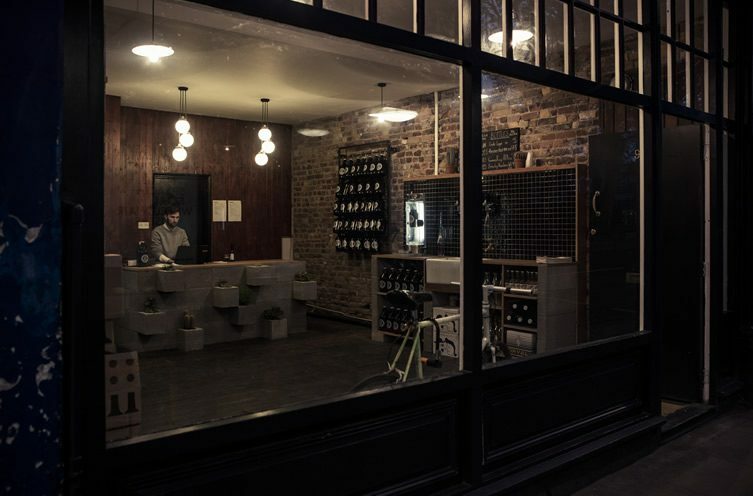 The growlers, as well as one litre plastic bottles, can be refilled from eight draught taps at the Clapton Craft brewery shop, lessening both environmental impact and bottling cost. 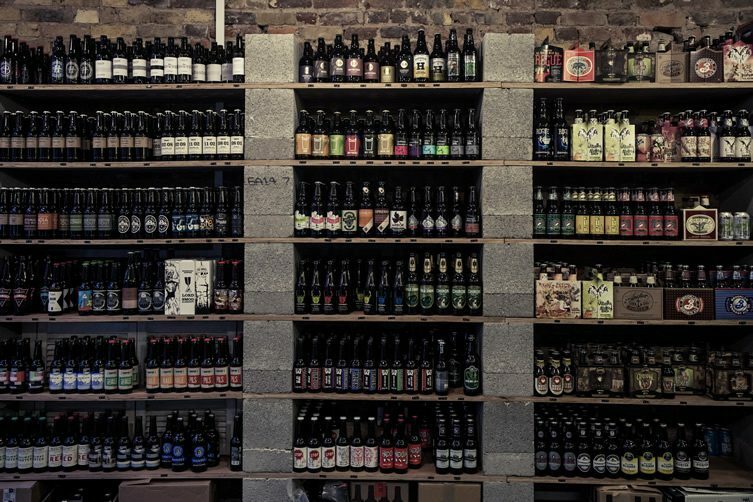 There is also a whopping range of pre-bottled craft beers sourced from all over the world for your drinking pleasure at this nicely turned out little emporium. Make some room in the fridge!